Insurer Examination Notices: What is and What is not Required? 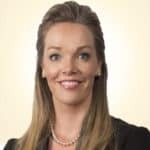 Meghan will be speaking on the topic of Making the Most out of the LAT Case Conference; including preparation and practice tips for the case conference as well as emerging trends. For more information including registration, click here. non ut massa quis elit. consectetur vel, risus ante. mi, fringilla consequat.